pro-manchester through it’s corporate membership and strategic partnerships work with a number of the leading firms in the North West business community, and in particular financial and professional services. 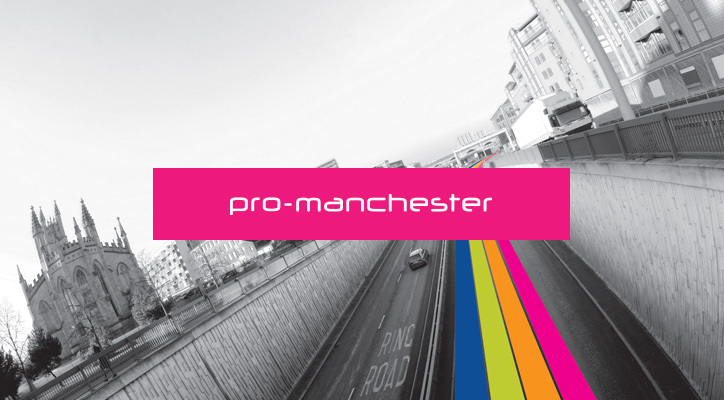 pro-manchester needed to replace their existing legacy telephone system. They needed a system that could be expanded quickly at a reasonable expense. The legacy system was becoming increasingly difficult to administer from a support point of view, and expansion capability was almost non-existent. After reviewing a number of solutions pro-manchester chose Packnets VoIP and connectivity offering. pro-manchester selected the Packnet VoIP telephony system because of its scalability, expansion capabilities and high quality voice connections, an outstanding fit for the business requirements. pro-manchester do not have a in house IT team so we were chosen to deliver the full solution and install. Through the process we gained commitment, trust, and most importantly, accountability for their telecoms and connectivity. The team delivered an installation that was completed with an extremely smooth transition from the legacy system to a VoIP system. The equipment was purchased, configured, tested, installed and was up and running within 24 hours from the beginning of the installation. Packnet provided web user interface training for the administrators to learn the procedures for managing and operating the system. The equipment was configured at the Packnet offices then transported to pro-manchester for installation. This included time for pre-coordination, planning, and testing prior to installation. Fibre connectivity was not available in the area at the time of install so we had to put together a solution of multiple bonded ADSL circuits. This took time but was fit for purpose by completion. The result for pro-manchester was a state-of-art VoIP system which is easily managed from Packnet’s Metis portal our own bespoke software. Future expansion of the system will be easily handled in both cost and procedure due to the scalability of the Packnet VoIP platform and IP telephones sets. pro-manchester wanted the implementation to happen as quickly and seamlessly as possible. The key to success was the upfront investment in pre-coordination, planning and training. Those key steps made the entire implementation an extremely smooth transition from the legacy system to a state of the art VoIP Telephony system. pro-manchester have been using Packnet’s services for the last 2 years, during this time we have always found their staff to be very helpful and professional, resolving any issues we have quickly and accurately. Not only are we saving money, we are getting a great service too.